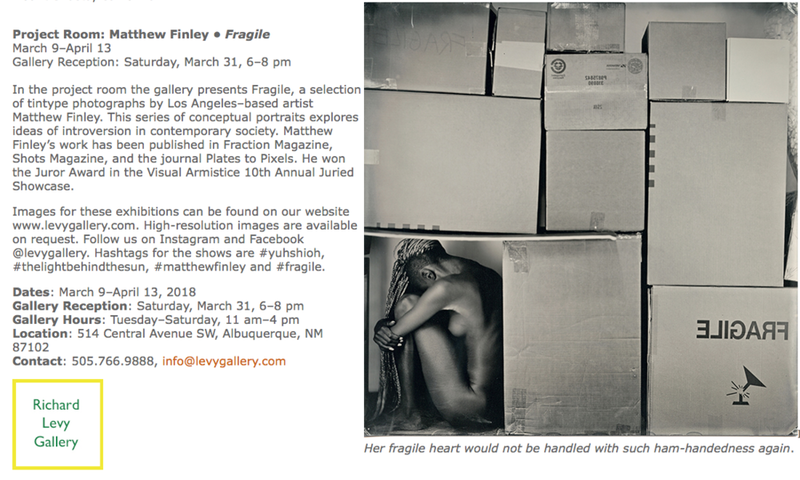 Support our friends Matthew Finley and Richard Levy at the opening of Matthew's show Fragile, Saturday March 31, from 6-8 pm at the Richard Levy Gallery in Albuquerque. 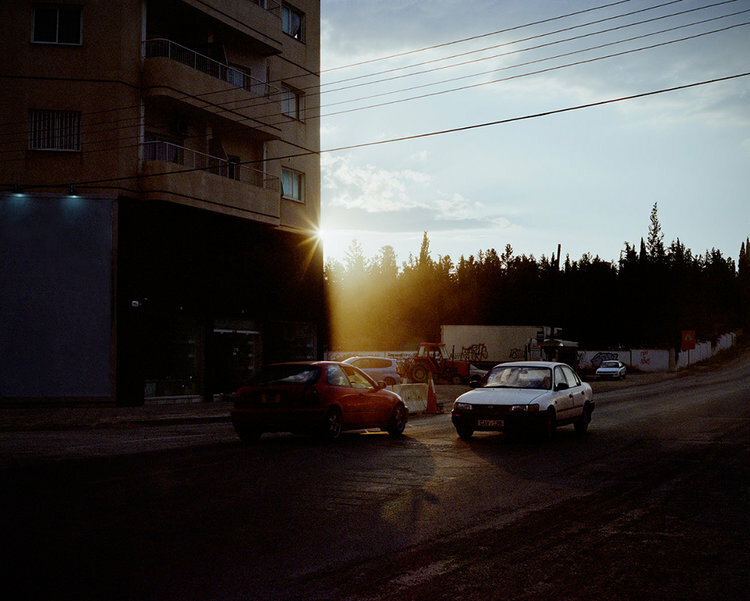 Fraction's Assistant Editor, Bree Lamb, is curating the call "Nothing Special" for L.A. Photo Curator. Submissions are open now through July 8th at midnight PST. How do you make something compelling out of nothing special? This question has become compounded as the ubiquity of image-making and image-sharing has reached an all-time peak and is steadily growing through various social media outlets. In a time when we are sharing, “liking,” and viewing more images than ever, how are you seeing and capturing the world around you? Lamb has chosen the Union of Concerned Scientists for her charity (Practical solutions to some of our planet’s most pressing problems—from combating global warming and developing sustainable ways to feed, power, and transport ourselves, to fighting misinformation, advancing racial equity, and reducing the threat of nuclear war). We had an amazing weekend in Denver for reviews two weeks ago at the Colorado Photographic Arts Center. We were glad to meet the photographers and to spend time with the other reviewers. There was a plethora of strong, diverse photography and we look forward to supporting the artists that we connected with. As always, thank you to Samantha Johnston and her amazing team. You all worked so hard to make the weekends activities go off without a hitch. Please support CPAC, check out their upcoming events, and find ways to get involved, they are an amazing organization! Sinchi's inaugural photography competition provides a unique opportunity for visual storytellers around the world to be recognized for their talent and commitment to the preservation of culture and indigenous rights. The aim of the competition is to celebrate the strength and beauty of indigenous culture. This can be inspired from activism, relationship to nature, spirituality, community, everyday life to art, music and cultural practice. Participants are invited to submit up to 6 photos with accompanying captions, welcoming submissions from both remote and urban indigenous communities. The entry period ends May 31st. Visit their website for more information. Fraction is now accepting submissions for our 9th Anniversary Issue. If you're interested, please submit up to 3 images (800px wide, 72 dpi, sRGB, .jpg) directly to fractionsubmissions@gmail.com. The subject line should be "9th Anniversary Issue submission" and please include your name and website in the email. Due to the number of submissions we can only respond to the artists that we will include. Thank you for understanding and we look forward to reviewing your images! Deadline is Friday April 28. No extensions!